This past weekend, the Association held its annual winter executive meetings in San Antonio. For the past 10 years, these meetings have brought together several of the key joint committees of the Association (Finance and Long Range Planning), the NSSA Executive Committee, the NSCA Advisory Council and the NSCA Executive Council, as well as the joint NSSA/NSCA Steering Committee. Recent events transpired which interrupted the normal schedule of this year’s meeting, and we feel it is very important that our Directors, Delegates and members are correctly informed about what occurred in the event they hear rumors or second-hand reports. Last fall, the Association updated its bylaws to comply with recent changes to Texas corporate law. Continuing with that process, other corporate documents were due to be updated, including an updated Conflict of Interest document to be signed annually. This document was recently prepared by our attorneys for all individuals serving in leadership and elected governance positions. Shortly before Christmas, while this document work was nearing completion, we were made aware that several individuals in key NSCA-elected leadership positions on the Advisory Council and the Executive Council were conducting subversive activities. They were beginning an effort to create a new sporting clays organization to directly compete against NSCA for its membership and NSCA member clubs. Clearly, this is a conflict of interest for people holding leadership positions within our own governing bodies and cannot occur without appropriate action being taken. Historically, all attendees at the winter meetings have been required to sign a Conflict of Interest (COI) Form prior to the beginning of these meetings. When the information about the subversive activities became clear, the NSSA Officers, on behalf of all NSSA-NSCA members, realized their obligation to protect the assets and Intellectual Property (IP) for the future of the Association. Given the impending meeting schedule and our intention to present plans and materials that have been developed at significant cost in member funds, immediate action was required to certify that those in attendance were supportive of the Association, did not have intentions to damage the future of NSCA, and would not share confidential Intellectual Property with a competitive organization. With input from our legal counsel, the COI form was updated to a combined Conflict of Interest/Confidentiality/Non-Disclosure form, with expanded scope necessary to protect all assets rather than asking everyone to sign multiple documents. A notice was sent with the new form to all who were to attend this year’s meetings. Due to the tight schedule, a two-day turnaround was required for their signature; however, several individuals who indicated they would sign if they had time to complete their personal legal review were given several more days, and they subsequently signed. Everyone who was invited to the winter meetings from the committees listed above was required to sign the updated form to participate. Refusal to sign meant that those individuals could not be authorized to receive the materials for the meetings, nor be allowed access to meetings where key topics about the Association’s business and confidential future plans were to be discussed. All NSSA and NSCA staff signed the document, as well as NSSA Executive Committee and other appointed committee members. Two of the recently-elected NSCA Advisory Council members tendered their resignations prior to the meetings rather than sign the forms. Twenty of the 45 members of the Advisory Council did sign the form, and 17 of them attended the meetings. While, unfortunately, the number of NSCA Advisory Council members who attended did not meet the requirement for a quorum to allow the Advisory Council or Executive Council to vote or conduct official business, those in attendance did meet with the NSCA Director, as well as the Executive Director and the NSSA officers; they were presented the confidential plans and materials as intended, and they had productive discussions on topics outlined on their agenda. We should also note that, in advance of their planned travel, the NSCA Executive Council members were invited to a closed meeting with the two of us to discuss this situation further prior to the beginning of the scheduled meeting; however, none of them accepted that invitation. We’d like to make one other important clarification. It is being reported that NSSA has “taken away all control of the NSCA Marketing funds from NSCA.” That statement is unequivocally false. NSSA has never denied any NSCA request for property or capital improvements, nor any proposal for their marketing resources. NSSA has only required accounting controls and accountability/deliverables for the release of approved funds, which is an independent audit requirement and demonstrates good stewardship of our members’ funds. The future of the NSCA is important to the Association and to all our members. We want to assure every Association member that the NSCA is still intact and will continue, regardless of the actions of a few individuals. NSSA will use all means available to protect its NSSA/NSCA membership and its assets. We want to thank the NSCA Advisory Council members who did attend last weekend. They will be working closely with us in the very near future to determine the correct course of action and to address the status of the Advisory Council and Executive Council members who did not sign and did not attend. Processes for filling vacancies/resignations exist and will be followed. If you have any questions, please contact either of us for further information. 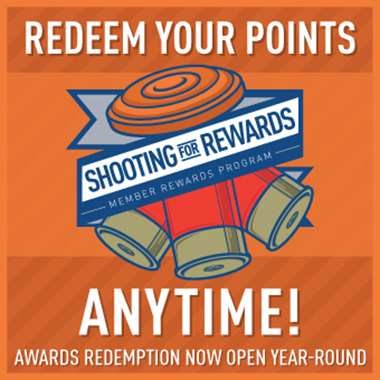 Thank you for your support of our Association and our shotgun sports!